Even though Bitcoin and Ethereum may share some similarities like running on Blockchain and both of them being a digital asset. 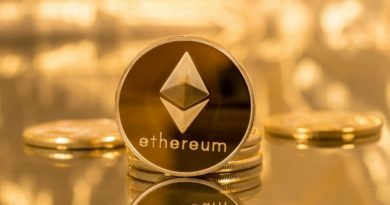 Unlike Bitcoin, Ethereum is not just treated as a cryptocurrency, it has got some features which effectively makes it one of the largest decentralized supercomputer of this date. “Thanks to the power of modern communication we have the ability to create technologies that are decentralized removing middlemen and allowing users to interact with each other directly through a global decentralized network. It wouldn’t have become more and more important in the past ten years and have the benefits of massively reducing costs and barriers to entry removing single points of failure, preventing censorship and ensuring transparency and trust between all the parties involved in an interaction. BitTorrent a file-sharing Network had developed in the early 2000s is arguably the first decentralized applications. BitTorrent allows anyone to share any kind of file with anyone else in the world, allowing people to distribute the content quickly and easily even if they do not have the resources to pay for their own website or server. Five years later Satoshi Nakamoto came up with the idea of a blockchain a sort of distributed database and used it to build Bitcoin the world’s first decentralized currency. Decentralized currencies like Bitcoin allow people to send money instantly anywhere around the world with no regard for national borders was negligible fees. Bitcoin is increasingly being used, for international remittances, micropayments and commerce online. Decentralized applications for finance, cloud computing messaging and distributed governance are soon to come. Ethereum is a platform that is specifically designed for people to build these kinds of decentralized applications or DAPPS for short. The Ethereum clients which we are calling the ether browser has the ability of peer-to-peer network for sending messages and a generalized blockchain with a built-in programming language, allowing people to use the blockchain for any kind of decentralized application that they want to create. 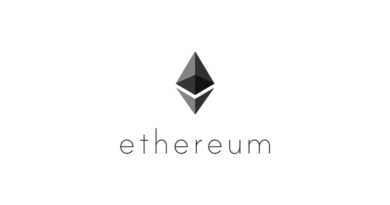 Ethereum can be used to build financial applications that are fully trustworthy and transparent because they run on the blockchain online, they are cryptographically secure system it is built for managing your property and contracts, social networking and messaging systems that allow users to maintain, control of their own data systems for trading underutilized computational resources like CPU time and hard drive space and eventually tools for online voting and distributed governance. And the most exciting applications of Ethereum are probably the ones that we have not even thought of as with all new platforms for innovation like the protocols that underlie the Internet itself. Similarly by providing a universal programmable blockchain and packaging it up into a client that anyone can use the Ethereum project hopes to do the same for finance, peer-to-peer commerce, distributed governance and human collaboration as a whole. As Vitalik rightly said Ethereum is a platform for building apps on top of a special blockchain, this project was founded a couple of years ago while Vitalik was working with bitcoin magazine and was very well versed in the industry and one day he saw the opportunity to expand the original blockchain technology from Bitcoin into Ethereum. First of all, Ethereum has a team behind that you can actually talk to you, it has the CEO and co-founders around the world. Second, it has smart contracts, we will talk about it in a minute. Third, anyone can build a decentralized app on top of Ethereum, the same way people make apps for Apple on App Store and Google Play store these days. The core idea behind Ethereum is that you can have a general-purpose special blockchain and this blockchain understands the general-purpose programming language an analogy agreed to a decentralized app and anyone can download an app and run it. Also Read: Bitcoin: What is it? What are Decentralized Apps or DAPPS? Decentralized apps or DAPPS are Apps that are developed on a decentralized system. Here the decentralized system refers to the Blockchain, specifically the Ethereum Blockchain where the apps are being developed. These apps can serve a general purpose, or a specific purpose like providing financial solutions, like developing apps for the FinTech Industry. Also Read: Blockchain: What is it? Now, what is a Smart Contract? So about 25 years ago Nick Szabo came up with the idea of a smart contract. He made an analogy of a vending machine, a vending machine’s hardware implements the simple conditions. It is a kind of an agreement, you put $1 in the vending machine the water comes out, you do not put $1 water does not come out of the vending machine. If you do not put the dollars in but water would come out that’s bad. Not for you because you get free water, bad in the part of the vending machine because there a problem in the algorithm of the vending machine. The vending machine is basically encoded by a set of rules and it also comes with the mechanism that keeps it secure. Now imagine if you own the vending machine, what kind of loss you would be bearing every time your vending machine defaults? Now think, there is an algorithm or a new protocol that says until and unless someone puts $1 in the vending machine, the process will not be executed. In other words, the only way of getting a water bottle out of the vending machine is by putting $1. Then there is no chance of your vending machine defaulting in any way because the vending machine is bound by a protocol, which forces the vending machine to act according to the protocol, and not to behave in any other way. Ethereum has its own currency called ether that is the fuel for the whole system, and it’s like dollars in a vending machine. With ethereum, it is possible to create a set of rules and the platform will provide the mechanism to keep it secure like the vending machine example. That’s how smart contracts work! Crowdfunding is a good example of a Smart Contracts using Ethereum and is called ICO (Initial Coin Offering) that you might heard about. Anyone on the Ethereum Blockchain can develop Decentralized Apps that can cater to various industries like the FinTech industry for an example.